ran her final race crossing the gates of heaven into the arms of her savior after an incredible battle against stage 4 cancer. Cheryl, age 62 of Canton passed away on the evening of January 23rd 2019 in her home. She was born June 20, 1956, the daughter of Robert and Martha (Mondok) Boyer. She resided in Lake Cable for the last 26 years, where she met and married the love of her life, Paul J. Schott, they were about to celebrate their 17th wedding anniversary. She graduated in 1974 from McKinley High School where she was a majorette. She attended Akron University and Stark State College receiving an Associates degree in surgical assisting and continuing her medical training becoming a certified surgical assistant (CSA) in 1996. She worked at Aultman Hospital from 1987 to 2009 mostly on the open heart team. She continued her career at Akron General Medical Center in the cardiothoracic surgery department until her retirement in 2016. 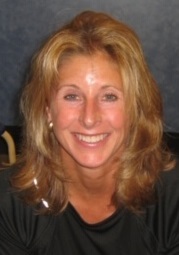 Cheryl was an accomplished athlete and excelled in running and triathlons. One of her highlights was completing the Boston Marathon and a half iron man. Cheryl was a loving wife, daughter, sister, aunt and friend. She gave of her self freely and was compassionate to all, including her mission trip to Honduras with CAMO. Her energetic spirit came thru from the home, to the operating room, to the gym. 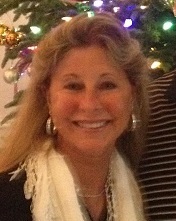 Cheryl enjoyed a glass of Cab at sunset on Lake Cable, their home in south Florida, and hosting festive parties. In addition to her parents and husband, Cheryl is survived by her brother Rob Boyer of Daytona Beach Florida; two sisters and families, Linda and Matt Sloan, of Canton, and their children, Matt (Adrienne), Marisa Sloan, and Mitchell Sloan, Nancy and Todd Sutterluety, of Canal Fulton, and her son, Ryan (Samantha) Kozma, and their sons, Brady, Peyton, and Reese. A Mass of Christian Burial will be held on Thur., Jan. 31 at 10:30am in Christ The Servant Parish with Msgr. Lewis F. Gaetano as Celebrant. Entombment will be in North Lawn Mausoleum, luncheon to follow at Lake Cable clubhouse. Friends may call Wed. Jan. 30 from 6-8 pm in the Formet-Clevenger & Gordon Funeral Home. In lieu of flowers, memorial contributions may be gifted to Sancta Clara Monastery, 4200 Market Ave. N, Canton, OH 44714, or Christ the Servant Parish, 833 39th St. NW, Canton, OH 44709. Condolences may be left at: www.gordonfuneralhomes.com.